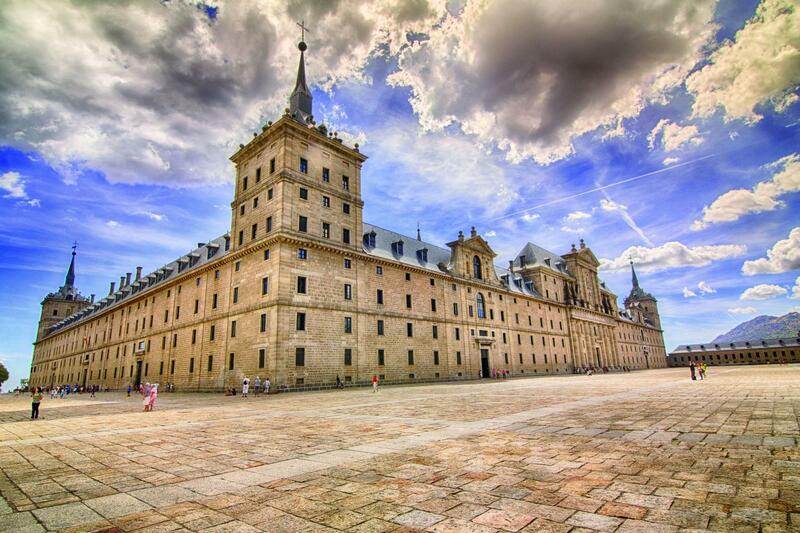 The Royal Monastery of El Escorial is an architectural complex built in the 16th century. Is a ‘must see’ to visit the Hapsburg Royal Palace, the Kings and Princes Mausoleum and the Basilica. All built following the Renaissance style. 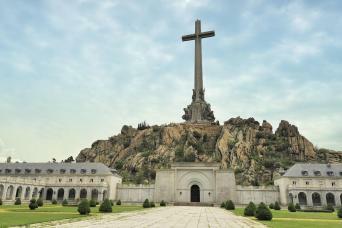 The Valley of the Fallen was built to commemorate the combatants who died during the Spanish Civil War. The Basílica de la Santa Cruz del Valle de los Caídos is carved into the mountain. Entrances to the monuments in Toledo: Church of St. Tomé, Synagogue of Santa María la Blanca and Monastery of San Juan de los Reyes. Entrance to the Royal Monastery of El Escorial. Entrance to the Valley of the Fallen and the Basilica. 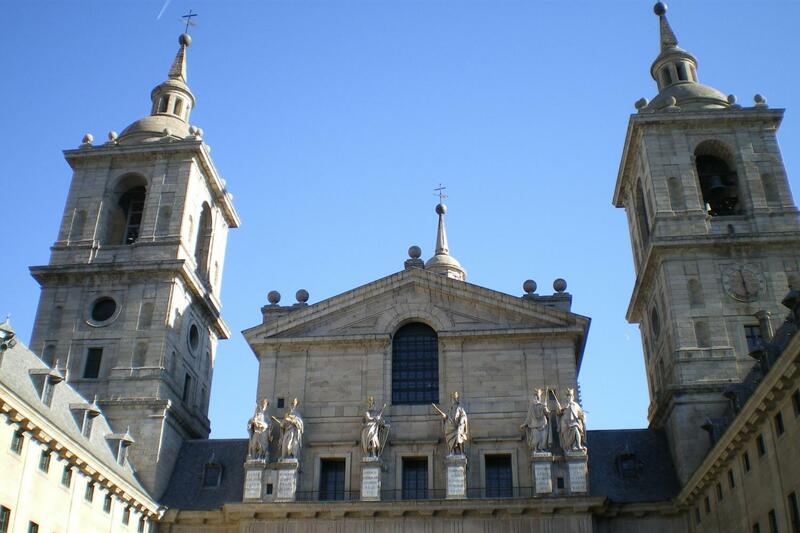 Royal Monastery of El Escorial, the Valley of the Fallen Basilic and St Tomé Church visitors are kindly requested to respect the instructions of the Security: Photography and filming are not permitted inside the exhibitions. Please, note that guiding inside the Basilica of the Valley is not allowed. This tour starts from Julià Travel Gray Line Spain office at Calle San Nicolás, nº 15 (corner Plaza Ramales) and ends at Plaza Oriente. Please print your voucher and give it to your guide. E-voucher accepted. The second part of the tour starts at 3:00PM, please be at the meeting point 15 minutes before departure. 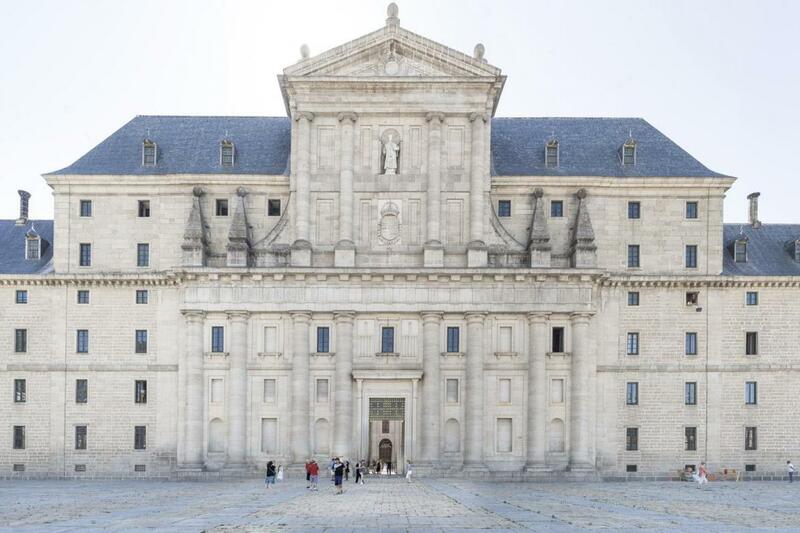 In this tour we will visit the Royal Monastery of El Escorial, an architectural ensemble declared a World Heritage Site; and the Valley of the Fallen, a basilica that stands out for its gigantic size. 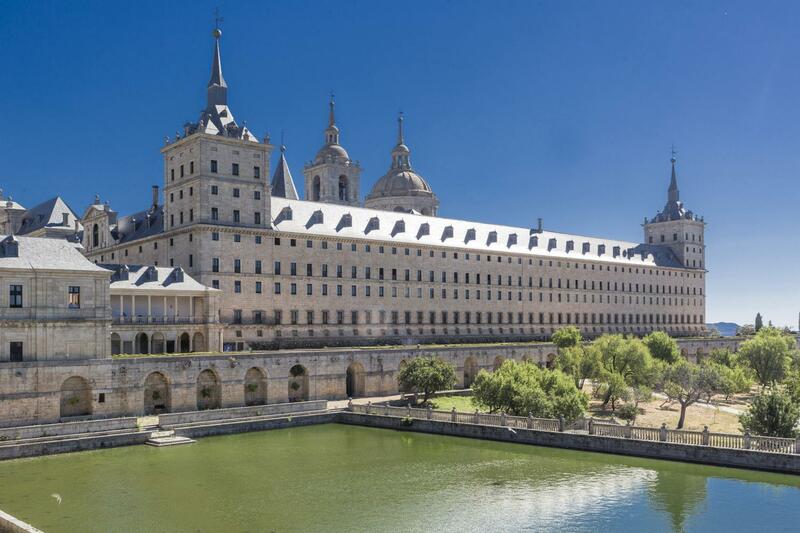 We will start our visit at El Escorial, symbol of the Spanish power in the XVI century that commemorates the battle of St. Quentin. It is also mausoleum for Charles V. Due to the symmetry and balance of its construction, according to the humanist Renaissance style, for years it had been considered for years the eighth wonder of the world. 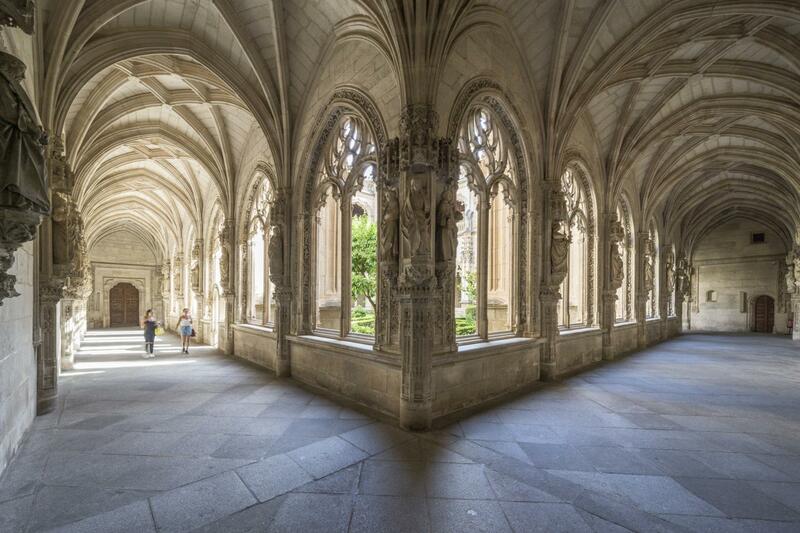 The visit includes the Habsburg Palace, the Kings and Princes Mausoleum, the Chapter House and the Basilica. 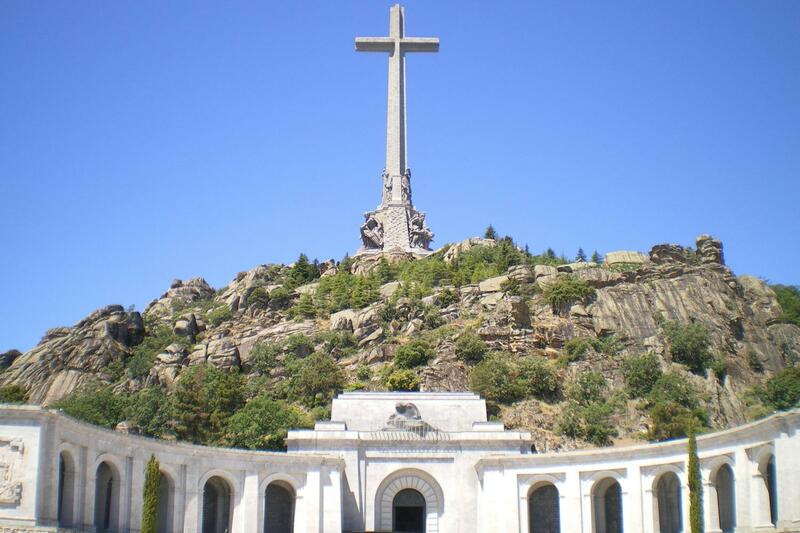 The Basicilica of the Valley of the Fallen is located 9 km away from El Escorial, this enormous monument was built between 1940 and 1959 to honor the fallen during the Spanish Civil War. The basilica (*) is carved into the mountain at 1350 meters of altitude, where an impressive 150 meters high cross places itself over the magnificent landscape of Madrid’s mountain range. 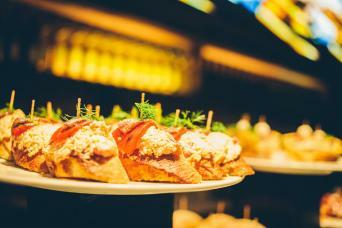 In the afternoon, we will depart to Toledo. 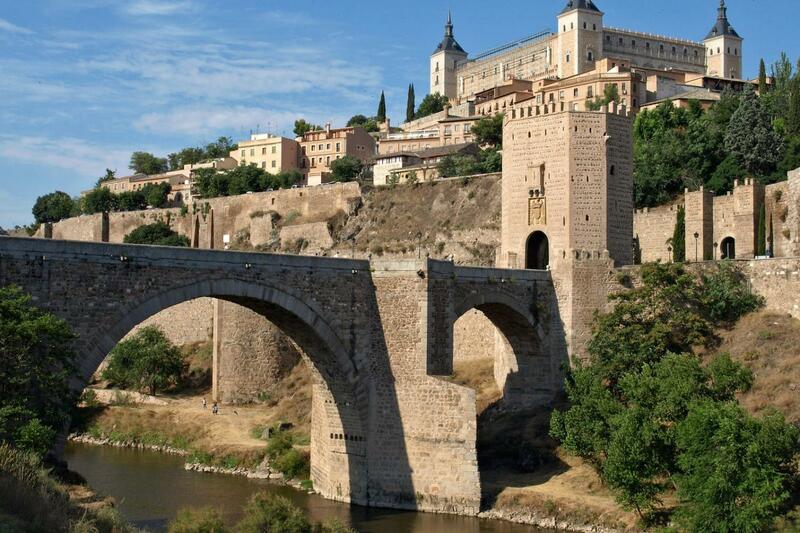 Discover the “City of the Three Cultures”, located 70 km away from Madrid is Toledo, a beautiful city-museum declared World Heritage Site by UNESCO. It is one of the oldest towns in Europe and has a great artistic beauty and buildings from almost all periods in history (Arabian, Gothic, Mudéjar, Renaissance and Baroque style). 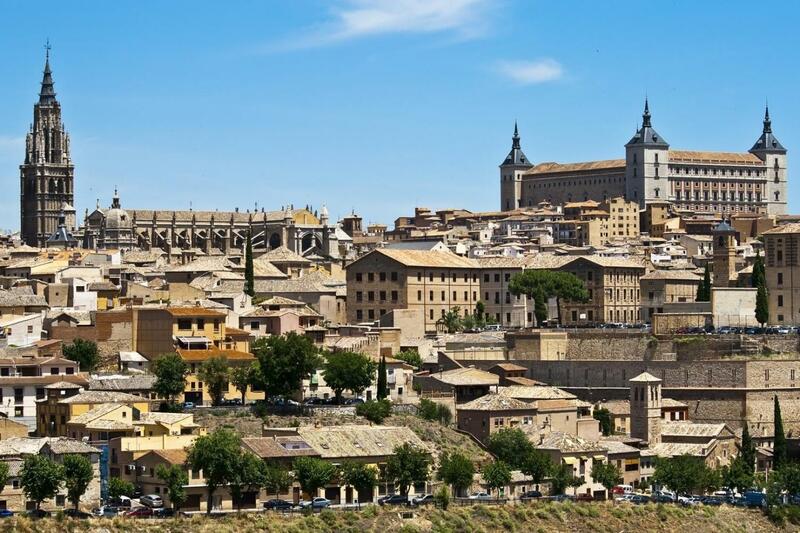 Toledo is called the “City of the Three Cultures”, since Christians, Muslims and Jews lived together. In the XVI century, it was also home to the great painter El Greco. Itinerary: Once in Toledo we will begin our tour visiting the outside of the Cathedral, shortly after we go to the interior of the Sto. Tomé Church with "The Burial of the Lord of Orgaz", masterpiece of El Greco, after that we will visit interior of the Synagogue of Santa María la Blanca and finally we will see the interior of the incredible monastery of San Juan de los Reyes. Once these visits are finished we will go to a demonstration of the famous technique of damascened * (Inlay of precious metals in steel), forging of swords, once finished the demonstration you will have free time to buy something if you want. 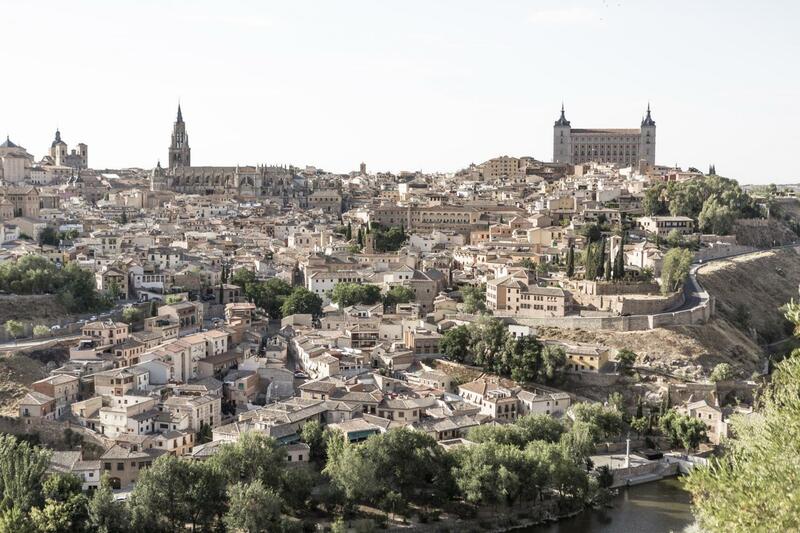 We will conclude the tour with a Panoramic Sightseeing of Toledo and stop at a viewpoint with breathtaking views of the city for taking the best pictures of Toledo.